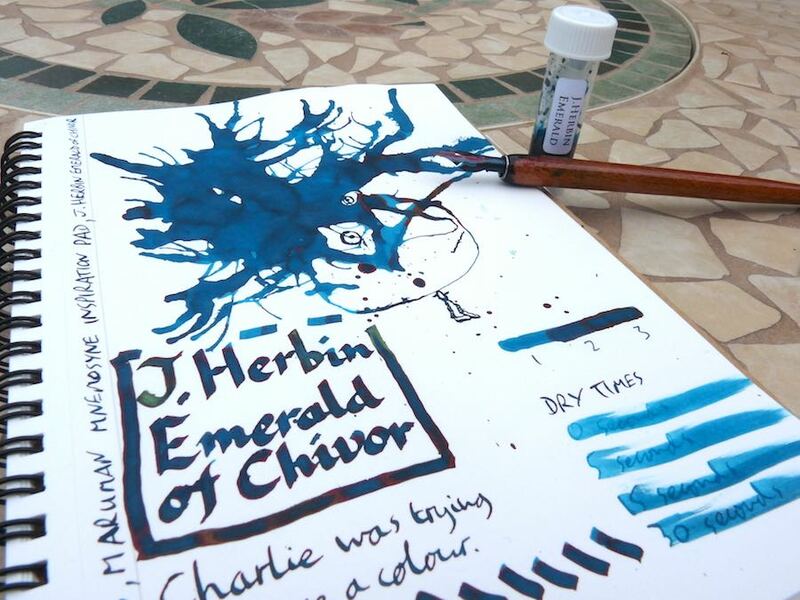 J. Herbin Emerald of Chivor Ink Review – Pens! Paper! Pencils! Oh my goodness gracious me. What colour is this ink? It’s quite blue, with green, a fair amount of red around the edges, and then there’s the gold thrown in. No wonder it’s causing such a sensation. It’s a very special ink indeed. 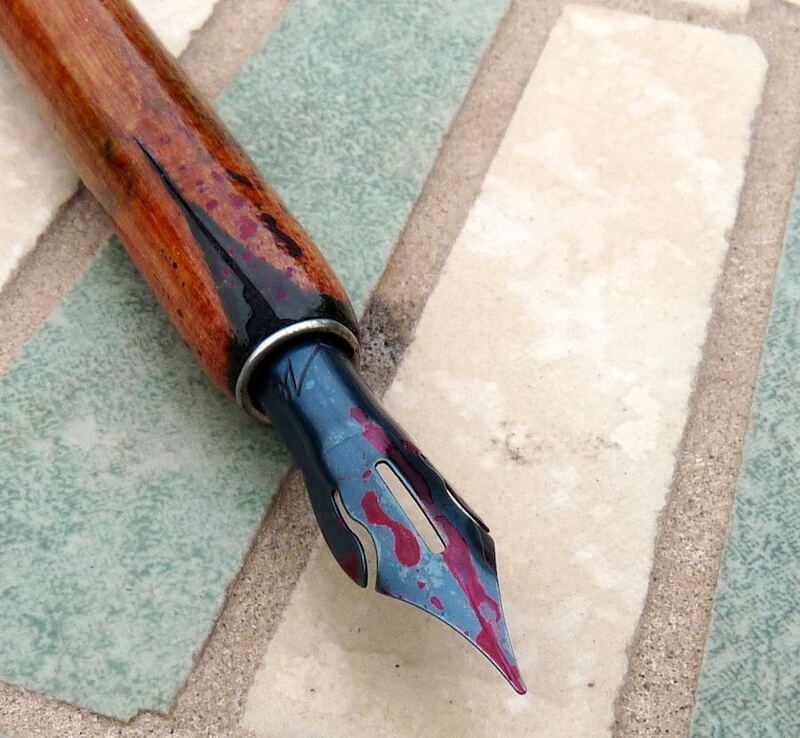 This sample was sent to me by Pure Pens to launch their ink sample service. This is a fantastic way of trying out some of the more expensive inks and is something we’ve been missing here in the UK. I’m really very glad this is available and I hope they’re able to make it a success. If you haven’t taken a look yet, please do. These are my own views. 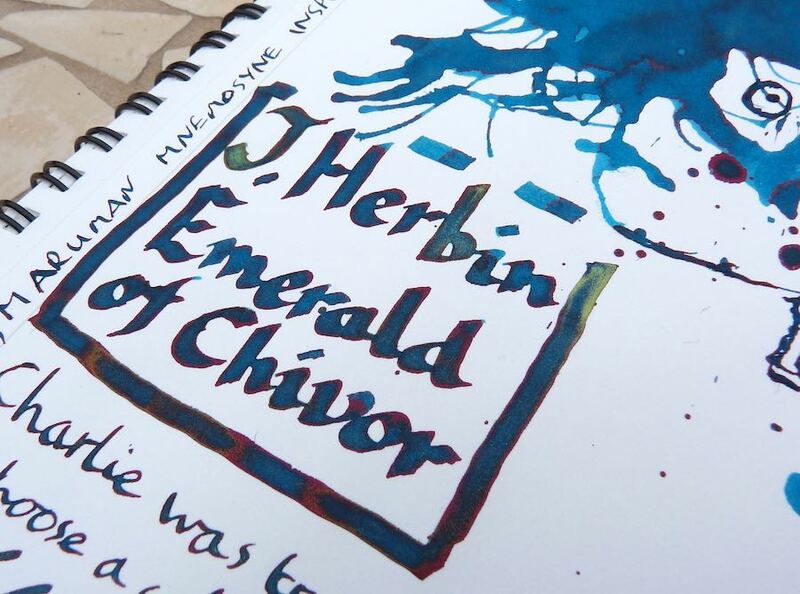 You can find quite a lot more reviews of J. Herbin’s Emerald of Chivor on Pennaquod. I think EOC is a fun ink. To me the color is in the teal family. There are teal emeralds, but it’s not the color most of us associate with the stone. Gorgeous! 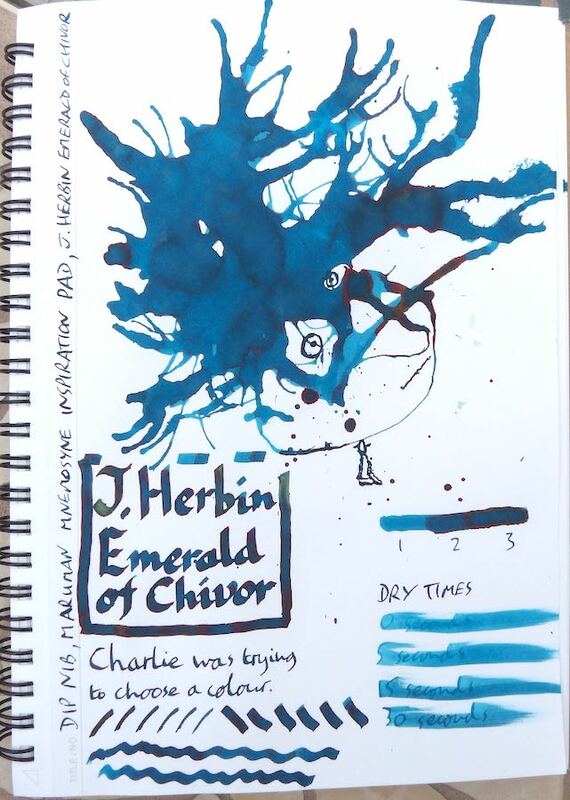 To me, the swiped “dry times” look turquoise/teal – a very enigmatic ink!